I read the other day that the Red Lobster chain of seafood restaurants is going to revamp its menu to add more seafood. Since the brand is known for seafood, it seems like a good idea. The question is, why did they ever shift away from seafood in the first place? 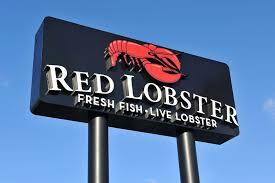 Red Lobster is a seafood-themed, family-oriented brand that offers good value for the money. You won’t get world-class food there but, as one of my students points out, it’s a great place to take the kids on a Saturday afternoon. Unfortunately, the brand’s sales have been in a bit of a tailspin for a few years. Even more unfortunately, the company’s managers made a classic branding mistake. Instead of trying to shore up vulnerable customers and recapture lost customers, Red Lobster aimed to attract new customers. To attract new customers, the chain introduced new, non-seafood menu items, like pork chops and tortilla soup. Seafood, as a portion of the total menu, dropped to 75%. Using a more diverse menu, the brand hoped to attract more diverse customers in larger numbers. It didn’t work. After all, the Red Lobster brand stands for seafood. I doubt that many people said, “Honey, I’m in the mood for pork chops. Let’s go to Red Lobster.” You just wouldn’t think of pork chops and Red Lobster in the same sentence. I suspect that this is also what happened at JC Penney. The company had always been a middle-class haven, with mid-tier products and revenue driven by sales promotions. The brand hired Ron Johnson – fresh from his success at building Apple’s retail empire – to attract a cool new clientele. The effort failed. Just as Keller suggests, the brand revamp wasn’t enough to attract new customers but was more than enough to alienate traditional customers. Red Lobster seems to be getting back on track. Their CEO, Salli Setta, says, “”At the end of the day, we believe that seafood is really why people come to Red Lobster.” Seafood accounts for 85% of the new menu. The company has also changed the way it prepares and plates its food and the way the menu is organized and presented. I hope that Red Lobster recovers its past glories. It’s a good brand. In the meantime, I have a simple piece of advice for any brand whose fortunes are flagging. If you want to avoid a multimillion-dollar branding mistake, just read Kevin Keller’s textbook.